Fali Nariman’s new book, The State of the Nation tries to explain why things are the way they are in this country. Being the constitutional expert that he is, Nariman finds his answers in both, judicial and political (in)action. To wit, through the six chapters that deal with issues like corruption, in general polity and higher judiciary, the common man, and federalism among others, one senses the author’s primary grudge to be this: the lack of will and idealism. Substitute ‘India’ for ‘the world’ and you have the current state of affairs in the nation." Peppered with judgements and historical anecdotes — one memorable tale is of Thomas Edison who creates a tamper-proof ballot box and, wondering why American politicians aren’t as excited as they should be, learns that the problem is that it is tamper-proof. The State of the Nation is both, insightful and uncomplicated, making it the perfect read to understand the legal back-story to some of the issues we face. 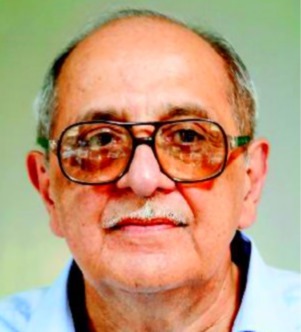 Nariman, who quit his post as Additional Solicitor General soon after former Prime Minister Indira Gandhi announced the Emergency in June 1975, writes, "Post 1969 politics became immoral and unprincipled, and has so remained. We cannot make the parliamentary system work; we cannot make any system of the government work, unless we reinject some degree of idealism and morality into politics." He explains what that would take elsewhere in the book: "If we search for the main reason why we have floundered, over the past 60-plus years, and why we have not been able to successfully work the Constitution – despite genuine efforts of governments, politicians and a string of commissions and committees – it is only because we have not had the will to implement the Directive Principles of State Policy, principles declared fundamental to the governance of the country." Nariman explains this to Mirror, "Making of laws is a luxury the lawmakers have over-indulged in. But applying and enforcing such laws – a primary duty of the State – requires a certain idealism and awareness of constitutional norms, which over the years, those in governance have totally ignored." The consequence of this, he says, is a growing divide between the rich and poor. "The consistent neglect of the poor and needy in our country is the greatest single serious threat to the survival of India as a nation."